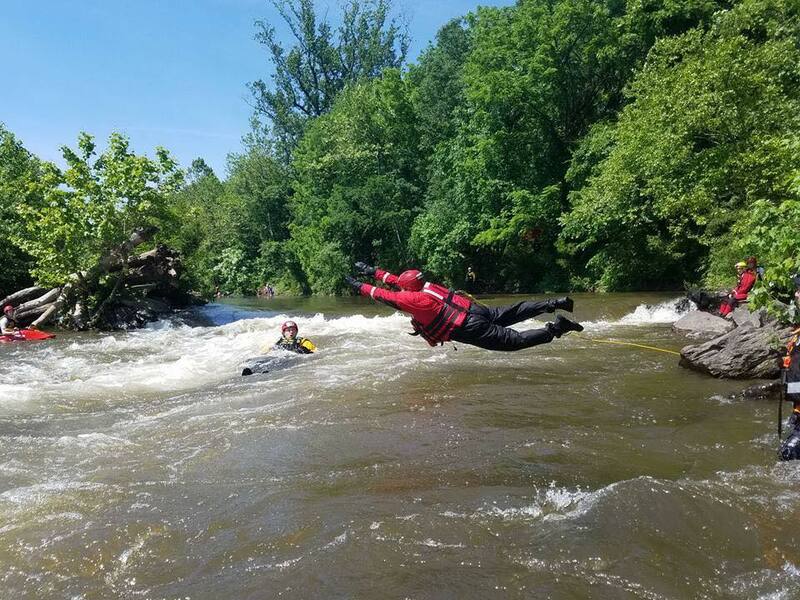 This weekend we had had 3 of our members participated in a specialized training for Swift Water Rescue Technician level training. The training took place at Scudder Falls in the Delaware River. All 3 members successfully (Past Chief Chris Patamia, 1st Asst Chief Robert Smith and Firefighter Mike Adamchuk) passed the class. Here are some pics of our members in action. Great jobs guys!